At the Dept. of Water, Sunnyside yard, John Sciarffa is pictured center with fellow MTDs. Many of the MTDs volunteered on election day as 15-passenger van drivers that transported other city members to and from the election site so they could vote. John Sciaraffa, a 24-year city worker and current Department of Water MTD and union steward, ran for Trustee of the of the Municipal Employees’ Annuity and Benefit Fund (MEABF) of Chicago on Oct. 28. Though he didn’t win a seat on the pension board, John is thankful for his fellow city workers who supported him and came out to vote. The MEABF trustee election is held on the last Friday of every October and is conducted as an in-person vote only. John also ran for the position last year but was defeated in a very close vote. I just wanted to thank everyone who took time out of their day to come and vote for me for Trustee of the Municipal Employees Annuity and Benefit Fund (MEABF). I would also like to thank the volunteers who took time off of work to help transport our members to and from the polling place in downtown Chicago. 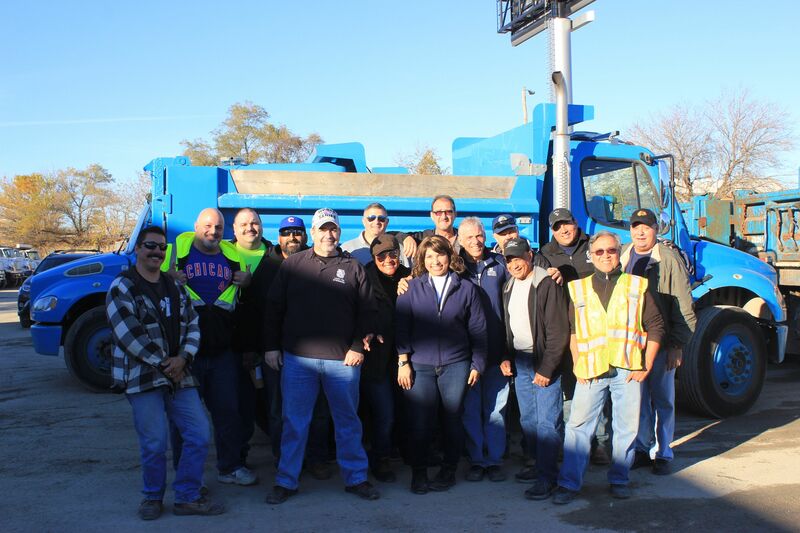 Lastly, I would like to thank the Executive Board and staff of Local 700 for all of their support with the election both this year and last year. Unfortunately, we did not win this election and the membership of Local 700 will not have representation on the MEABF Board. I believe the opposition in this election went to great lengths to beat someone from Local 700. I know that we ran a good, clean campaign and that it is very difficult to bring our membership to a singular voting location in downtown Chicago. When you have a pension fund with over 70,000 members, and 40,000 are ineligible to vote because they are retired, and the other 30,000 are eligible to vote but are only allowed one voting location, there is going to be disenfranchisement of the membership. Of the 30,000 eligible voters, only about 550 actually voted, which is less than a two percent turnout. The MEABF fund does not allow voting by mail like the State Employees Retirement System or the Cook County Pension Fund. Until a fair voting system is implemented with MEABF, I believe there will be no accurate representation of the actual membership of this fund.